HOUSTON (KTRK) -- Gifted and talented test 'abnormalities' have put hundreds of parents on hold. According to HISD, the Iowa test maker reported the abnormalities during scoring of the kindergarten tests. The district ruled the tests were not credible and could not be used to determine a kindergartners gifted and talented status for the coming year. 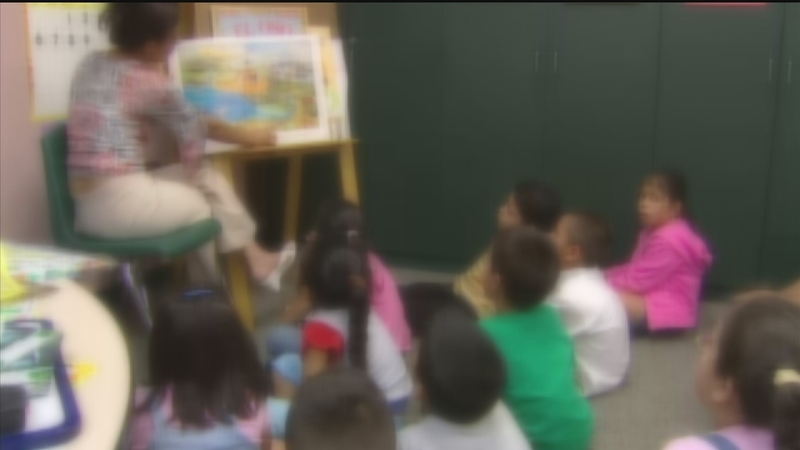 The district sent out a letter to every kindergarten parent that outlined the problem. "As we work to resolve the issue, it may be necessary to delay notification for kindergarten families who applied to Vanguard programs for the 2015-2016 school year," the letter stated. There are about 650 students who have applied so far. "I remember looking at her scores and being pleased with her scores," said Gregory Barnett. "Her percentiles were from the low 80s to the mid 90s in all of her scores." Barnett said he doesn't mind the mistake by the test maker. He said he would be OK with a re-test. According to the Texas Education Agency, the district has until March 1 to report current gifted and talented enrollment to the TEA. The state gives districts $400 per student (up to 5 percent of enrollment). The students currently applying for the G/T program would be counted in next year's totals, due to the TEA on March 1, 2016. "We have staff working around the clock to see what part of the matrices can be adjusted," said HISD School Board President Rhonda Skillern Jones. "We don't think that they (parents) will have to wait much longer than the originally determined date." The district told parents they let parents know something by March 13. Right now, the district is trying to figure out another way to assess students' gifted and talented status. The TEA requires "qualitative" and "quantitative" measures that districts must use for assessing a students status. "The Iowa exam is one of several factors considered in HISD's G/T identification matrix. Other factors include report cards, teacher recommendations and performance on the Cognitive Abilities Test. Administrators now are considering possible solutions to resolve the issue in a timely and fair manner."